November | 2010 | my bike. my city. my mission. Since I’ve moved to Austin, I can count three, maybe four times that I have had a vehicle proceed to back up their car at an intersection to let me pass on the cross path. One time was while I was jogging down by Lady Bird Lake and crossing the street. It really amazed me as to how people treat pedestrians here. It’s a cool feeling especially if you are aware of it.It’s the little things that count. I say it’s almost like that insurance commercial where you see someone do a good deed and pass it on. It’s simple as paying if forward. Nothing lost. It’s cool. I appreciate it and I like the fact that there’s respect out there for one another. Southern hospitality at its finest. Since I’ve moved to Austin, I can count three, maybe four times that I have had a vehicle proceed to back up their car at an intersection to let me pass on the cross path. One time was while I was jogging down by Lady Bird Lake and crossing the street. It really amazed me as to how people treat pedestrians here. It’s a cool feeling especially if you are aware of it. It’s the little things that count. I say it’s almost like that insurance commercial where you see someone do a good deed and pass it on. It’s simple as paying if forward. Nothing lost. It’s cool. I appreciate it and I like the fact that there’s respect out there for one another. Southern hospitality at its finest. 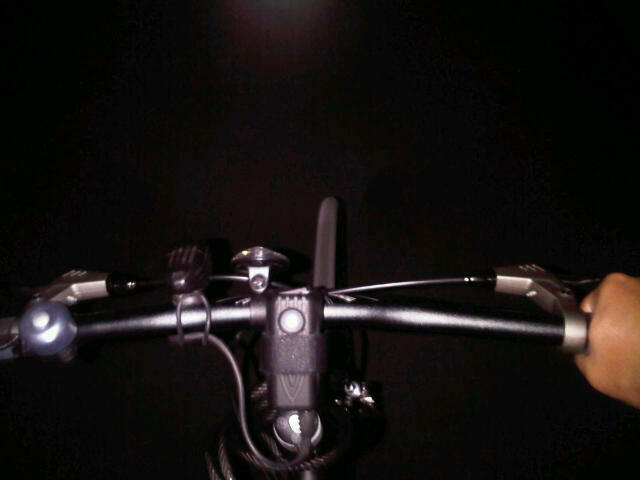 Something fun about riding at night. Just make sure people can see you. Who wants to go ride? The frontman and the band that help in putting the supergroup, Gayngs together. It’s an inspiration and refreshing to see music in its purest form. No Hollywood studio fill-ins and an unpretentious crowd. The La Blogotheque series on Youtube is simply a joy. Thanks for putting them up for the world to share. Can’t believe it took me this long to find them. Justin Vernon is a genius.